All in all a pretty good year! 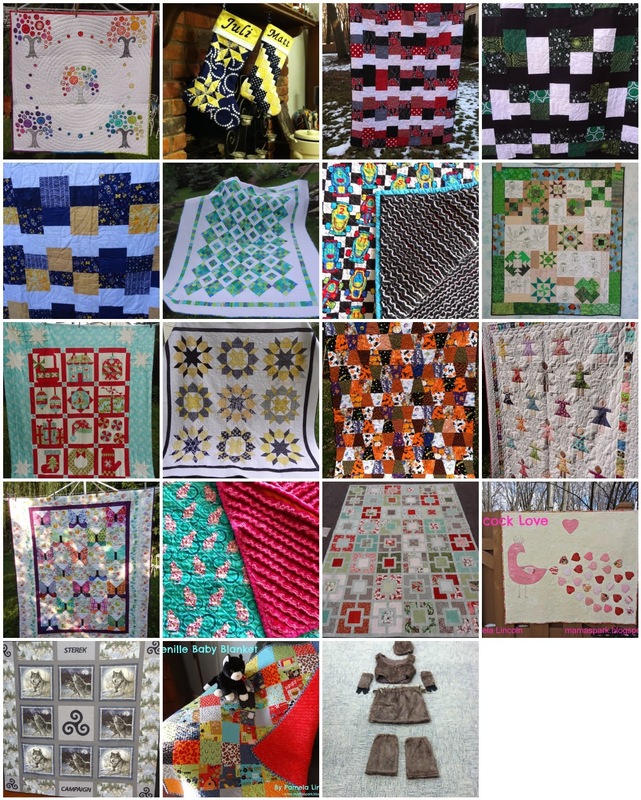 Not exactly quilts but hand made projects all the same! Christmas stockings made for my nephew and his wife. NC State quilt made for my daughter for Christmas to use on her couch! Lots of red fuzzy fabric on the back. I also made a "slutty" sloth costume for my daughter to wear for Halloween this year. I had never worked with fake fur. I actually made a vest that laced up out of it! One of my favorite quilts of 2013. Then I made the quilt to show how to use the block. 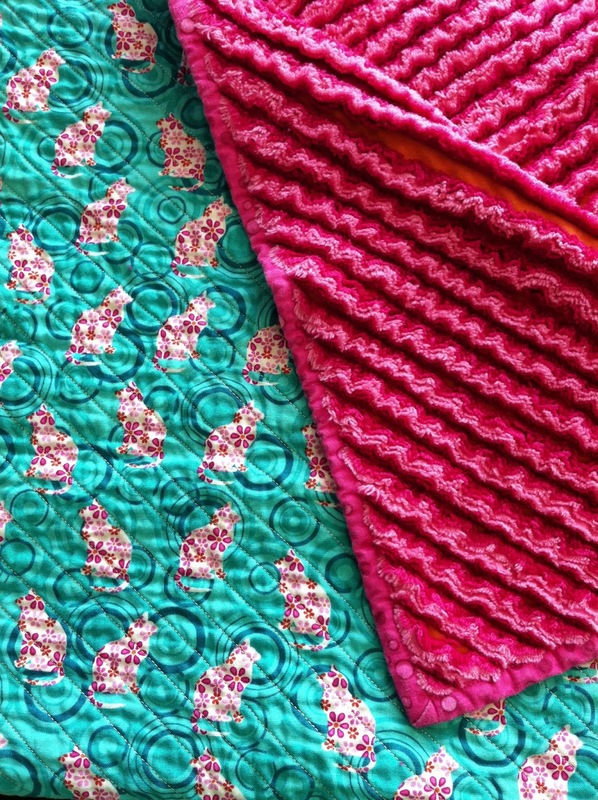 These two quilts were made as part of 100 quilts for kids and were donated to Margaret's Hope Chest. 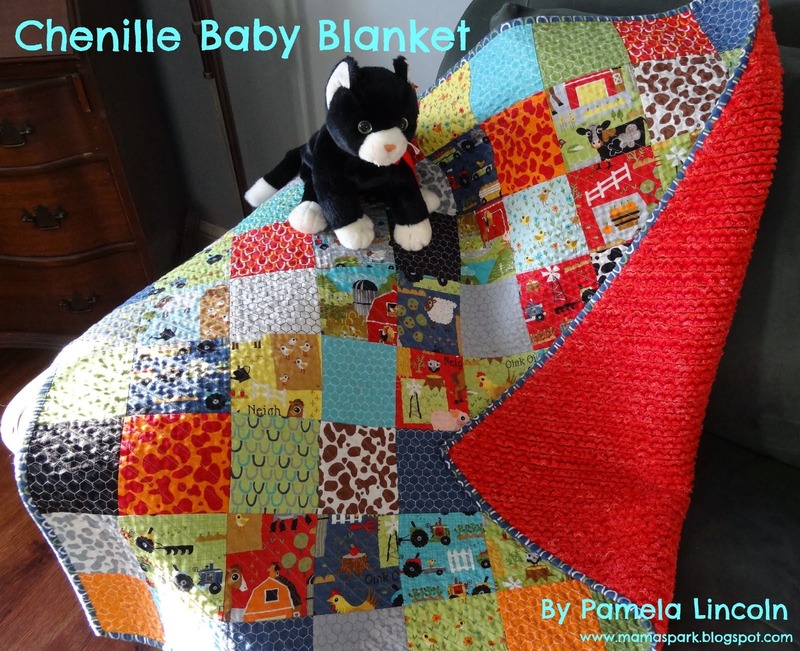 Chenille Blanket: Made for a friend at work. 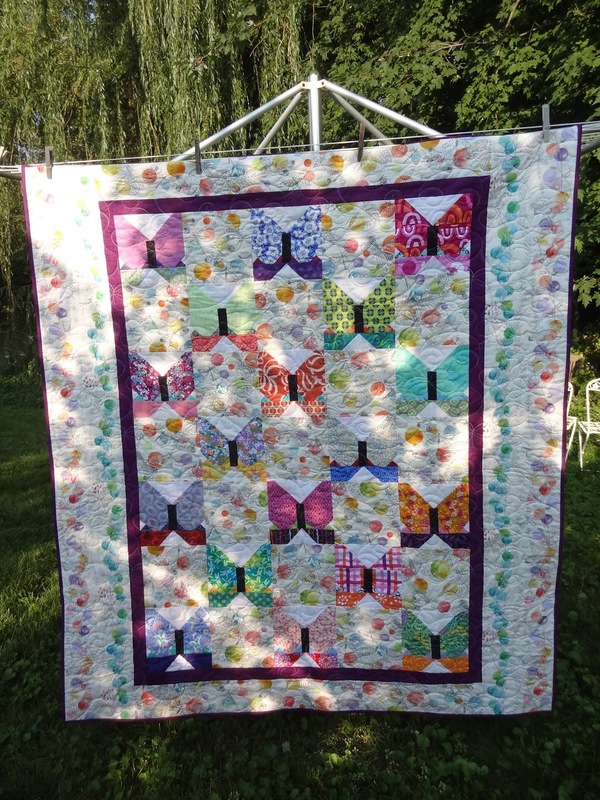 Butterfly Quilt: Made with some friends for my BEST friend to take with her to her radiation treatments. 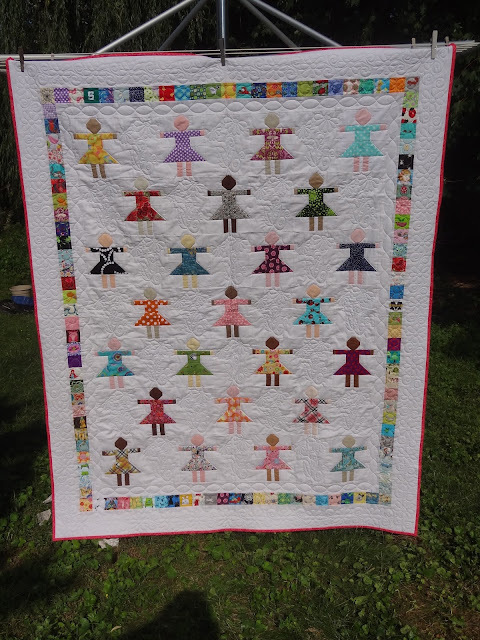 Swoon Wedding quilt- A quilt made to celebrate the marriage of my nephew Matt to Juli. 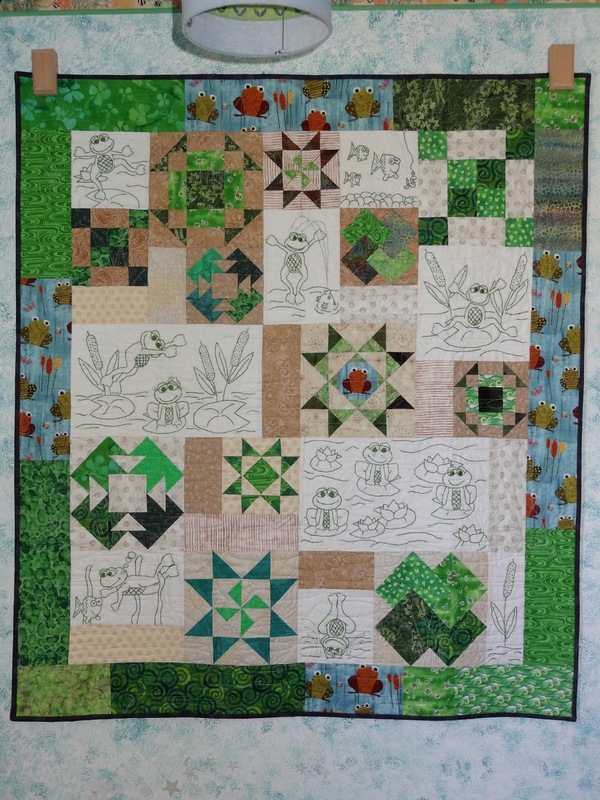 Wedded Bliss- A wedding quilt for my nephew James and his wife Elizabeth. I made this top for my long arm quilter as a thank you for all the great work she does for me. She will be quilting it and finishing it. This one was gifted as a top to Margaret's Hope Chest so it is finished on my end! I hope they love it too. I would love to know what fabric you used in 2010 to make the u of m quilt. Thank you. Sharon Rogers. Skchapin@gmail.com. 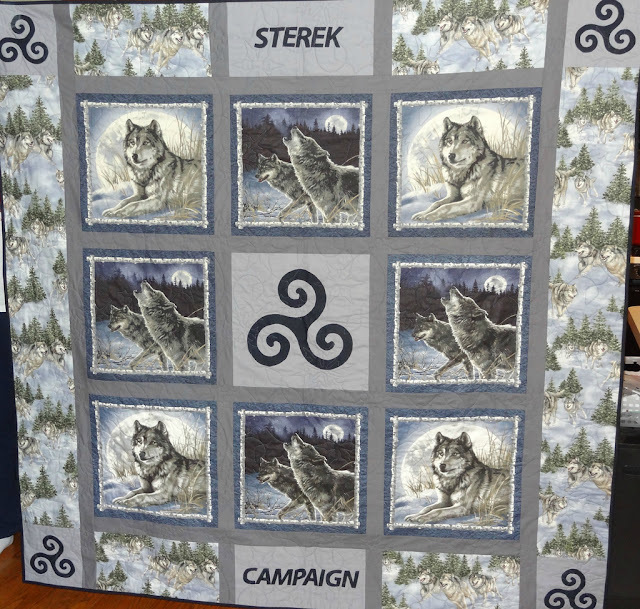 I love the quilt with the circles on the tree! Great Job.